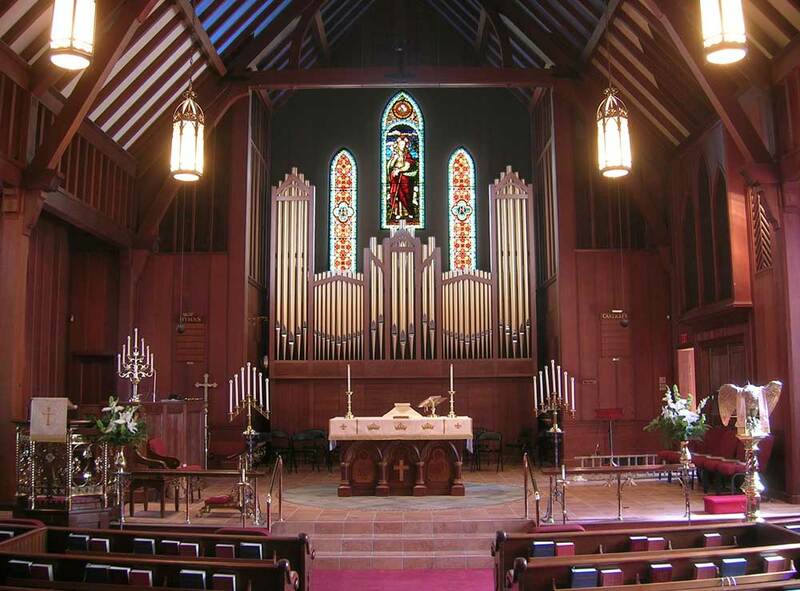 The venerable Christ Church pipe organ, parts of which dated to the 19th century was used for the last time on Christmas Eve, 2007, in a glorious choral Eucharist. On the first Sunday in Advent preparations for the removal of the organ and for the renovation of the sanctuary area began with a volunteer crew of parishioners who completely dismantled, cleared and stored all of the furniture and items from the sanctuary, except for the altar. 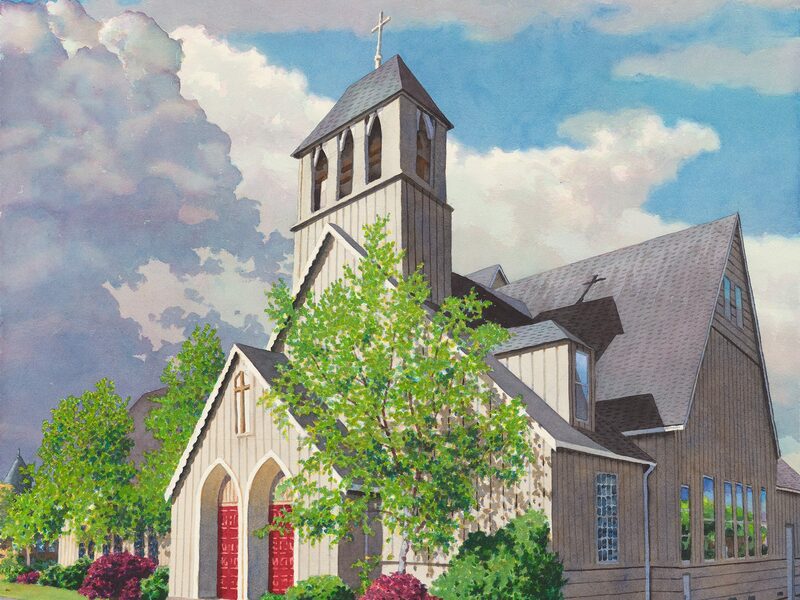 The altar was lifted by a crane and moved to its new location farther forward in the sanctuary a few days later. The organ’s removal began on December 26th and was completed in early January. 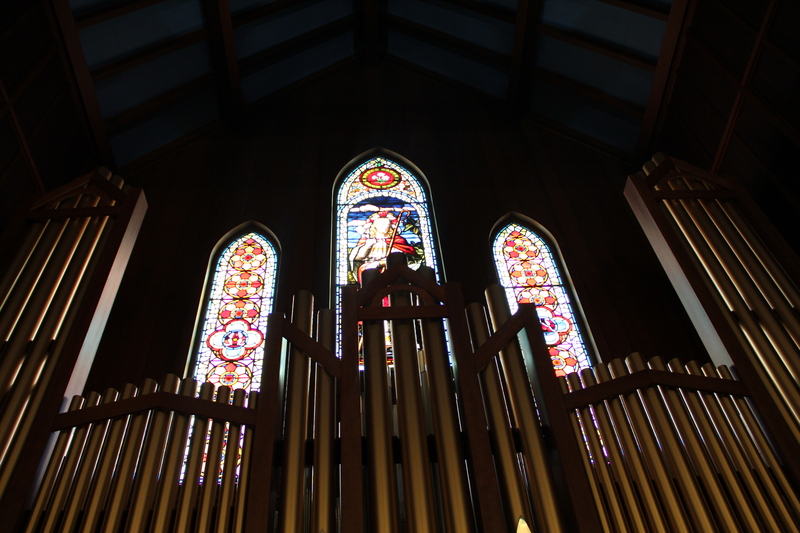 Construction necessary in preparation for the new organ began on January 14th. 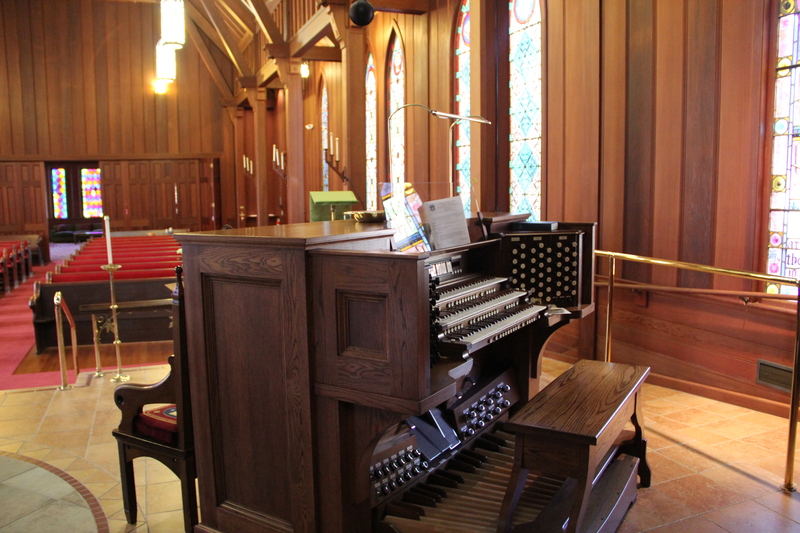 The new organ which was built in Ohio and disassembled for transport to Eureka arrived on April 22, 2008 with Charles Kegg and his installation team. Installation was completed on May 2, 2008.